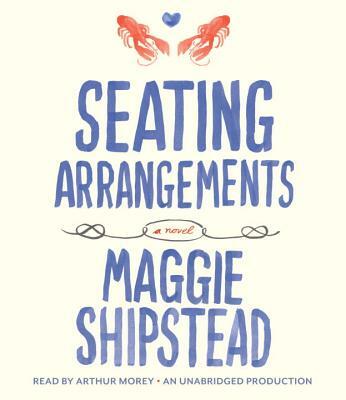 Maggie Shipstead's irresistible social satire, set on an exclusive New England island over a wedding weekend in June, provides a deliciously biting glimpse into the lives of the well-bred and ill-behaved. Winn Van Meter is heading for his family's retreat on the pristine New England island of Waskeke. Normally a haven of calm, for the next three days this sanctuary will be overrun by tipsy revelers as Winn prepares for the marriage of his daughter Daphne to the affable young scion Greyson Duff. Winn's wife, Biddy, has planned the wedding with military precision, but arrangements are sideswept by a storm of salacious misbehavior and intractable lust: Daphne's sister, Livia, who has recently had her heart broken by Teddy Fenn, the son of her father's oldest rival, is an eager target for the seductive wiles of Greyson's best man; Winn, instead of reveling in his patriarchal duties, is tormented by his long-standing crush on Daphne's beguiling bridesmaid Agatha; and the bride and groom find themselves presiding over a spectacle of misplaced desire, marital infidelity, and monumental loss of faith in the rituals of American life. Hilarious, keenly intelligent, and commandingly well written, Shipstead's deceptively frothy first novel is a piercing rumination on desire, on love and its obligations, and on the dangers of leading an inauthentic life, heralding the debut of an exciting new literary voice. MAGGIE SHIPSTEAD was born in 1983 and grew up in Orange County, CA. Her short fiction has appeared in "Tin House, VQR, Glimmer Train, The Best American" "Short Stories, "and other publications. She is a graduate of the Iowa Writers' Workshop and the recipient of a Stegner Fellowship from Stanford University. "A sophisticated summer romp...Shipstead's weave of wit and observation continually delights. I wouldn’t be surprised if someday she trades her Lilly Pulitzer for something from Joseph Pulitzer." "Whipsmart and engaging...the best kind of smart beach read."